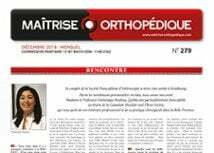 A recent report on joint prosthesis from France’s Haute Autorité de Santé (HAS) contained the following definition of a hinged implant: ‘The femoral component and tibial component are connected by a hinge-type join to overcome a ligament defect in the patient. 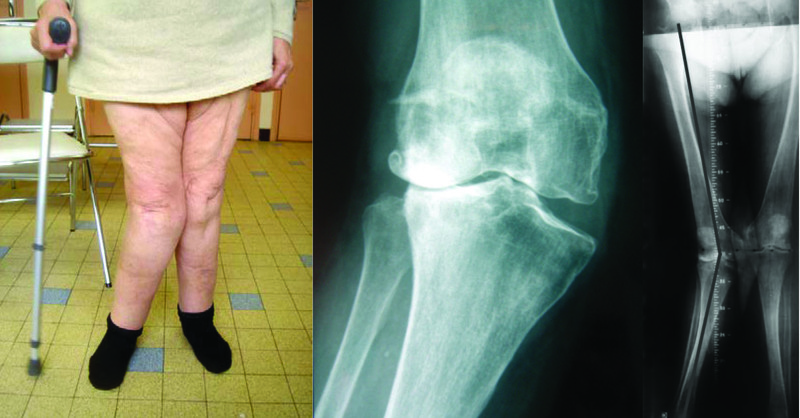 A recent report on joint prosthesis from France’s Haute Autorité de Santé (HAS) contained the following definition of a hinged implant: ‘The femoral component and tibial component are connected by a hinge-type join to overcome a ligament defect in the patient. The hinge may be fixed or rotating.’ The ligament defect may be due to either bone loss or impaired ligament structures, as a result of primary or revision surgery. However, the use of hinged implants is still governed by a strict protocol because they carry specific risks (need for a keel to counter the increased tension at the bone/implant interface, risk of loosening, risk of infection etc. ), which has prompted the HAS to establish clear indications. The purpose of this chapter is to describe the various situations in which a hinged implant may be a suitable option. Constrained implants are not usually used for a primary replacement, but they can however be a useful option in certain special cases when ligament balance or knee stability cannot be achieved with a standard design.